Dr. Jennifer Saak is the Managing Director of Traliance, a firm she founded that provides export control services for research and technology organizations in higher education, the non-profit sector, and industry. Dr. Saak has over 20 years of experience in export controls compliance and scientific research. 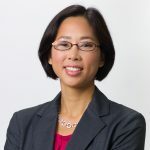 She has provided compliance solutions to top U.S. research universities, leading academic medical centers, non-profit research organizations, small and medium-size businesses, and Fortune 500 companies. Her expertise is in export controls risk assessments, commodity and technology classifications, training, deemed exports, and business process improvements. Dr. Saak has designed and delivered training on export controls compliance for teams based in the United States, Europe, Saudi Arabia, India, China, and Japan. Prior to forming Traliance, Dr. Saak was the Technology Trade Compliance Leader of a $50 billion multi-national petrochemical company based in Saudi Arabia. In that role, she created and led a team responsible for developing export compliance processes for sites located in 10 different countries. Dr. Saak created a global classification process for a product and technology portfolio regulated by multiple export control classification numbers. She also served as a research engineer with General Electric (GE), developing advanced polymeric and ceramic materials for various industries, including transportation, energy, automotive, healthcare, and consumer electronics. Dr. Saak is an active speaker for the Association of University Export Control Officers (AUECO), National Council of University Research Administrators (NCURA) , and Society of Research Administrators (SRA) International. She has 7 U.S. and international patents, 6 technical publications in peer-reviewed journals, and multiple management and innovation awards. Dr. Saak earned a Ph.D. in materials science and engineering from Northwestern University and a B.S. in materials science and engineering from Cornell University. She is also a certified Six Sigma Black Belt with a focus on business process improvements. Mr. James Anzalone has consulted firms of all sizes throughout the world on the International Traffic in Arms Regulations (ITAR), Export Administration Regulations (EAR), Office of Foreign Assets Control (OFAC), Foreign Trade Regulations (FTR), and Customs & Border Protection (CBP) regulations. For over 20 years, Mr. Anzalone has developed comprehensive trade compliance programs encompassing commodity jurisdiction and classification, license determination, restricted parties screening, development of corporate policies and procedures and employee training programs at companies ranging from start-ups to the Fortune 100. He has assisted multiple aerospace and defense-related companies with their Directorate of Defense Trade Controls (DDTC) registration, Technology Control Plans, ITAR brokering activities, encryption control reviews, government mandated and internal audits and training, compliance software selection, DDTC, BIS and OFAC licenses and a myriad of other import and export compliance challenges. Mr. Anzalone earned his Master’s Degree in International Business Administration from Nova Southeastern University and a B.S. Degree in Supply Chain and Logistics from the Pennsylvania State University. In 2010 he was appointed by the U.S. Secretary of Commerce to the South Florida District Export Council, where he currently serves as its Chairman. Mr. Anzalone is an active trade compliance speaker and has published articles in “re: ID” and Aviation Aftermarket Defense magazine. He is an active member of the Society for International Affairs (SIA), Florida Customs Brokers & Forwarders Association (FCBF) and the International Compliance Professionals Association (ICPA). Mr. Mark Peters is an expert in U.S. export controls and provides consulting services to academic institutions and companies. Past clients include top research institutions, such as the Mayo Clinic. He has successfully assisted businesses implement export compliance programs and supported international contracts under U.S. military export control regimes. Mr. Peters is the International Compliance Officer for Oregon State University, where he overseas export controls compliance for a diverse portfolio of research from nuclear engineering to marine sciences. Mr. Peter’s responsibilities include establishing an institution-wide export compliance program. He is also the leader for Oregon State’s Unmanned Aerial Systems operations and serves as the primary point of contact for FAA compliance and drone operations. Previously, Mr. Peters established the export compliance program at Oregon Health & Science University (OHSU). The OHSU export program is now looked to as a positive example for other academic medical centers. Mr. Peters started his career with the U.S. Department of Commerce and was the Director of a U.S. Export Assistance Center in Montana. Mr. Peters also previously served as a Congressional Fellow to the U.S. Senate, advising Senators on U.S. trade policy. Check out what Traliance clients have to say about working with our team.